South Korea's defense ministry said Monday it has decided to put off the testing of a new surface-to-air interceptor missile due to technical, not political, reasons. 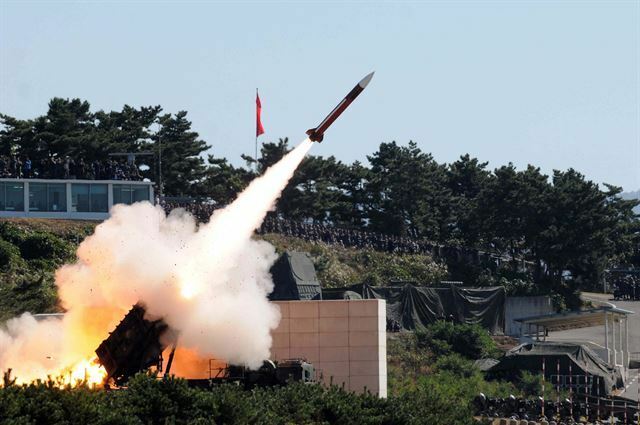 The military has sought to develop the L-SAM missile system aimed at shooting down ballistic missiles from North Korea. If deployed, it's expected to serve as a key element of the Korean Air and Missile Defense in the making, along with the existing PAC-III system. The military authorities had planned to conduct a firing test of the interceptor earlier this year. But they have postponed it. Critics said the test was delayed at the instruction of the presidential office, Cheong Wa Dae, as the Moon Jae-in administration wanted to avoid antagonizing the North amid a reconciliatory mood. The ministry of National Defense, however, dismissed the claim as groundless.